October is upon us and if you’ve got friends or family with birthday’s this month, there’s no better present than their birthstone jewellery. But even if you’ve not got a birthday to buy for, why not buy a bit of Opal for yourself! It’s iridescent and shimmering beauty will brighten up your autumn. Our lucky opal jewels are made from a mix of natural opals and synthetic opals (the synthetic opals are chemically the same as natural opals, but the natural process of their development has just been sped up), which ensures our opals are more affordable, and heat and chip resistant. Meaning the opal you buy from us will keep you looking prettier for longer. 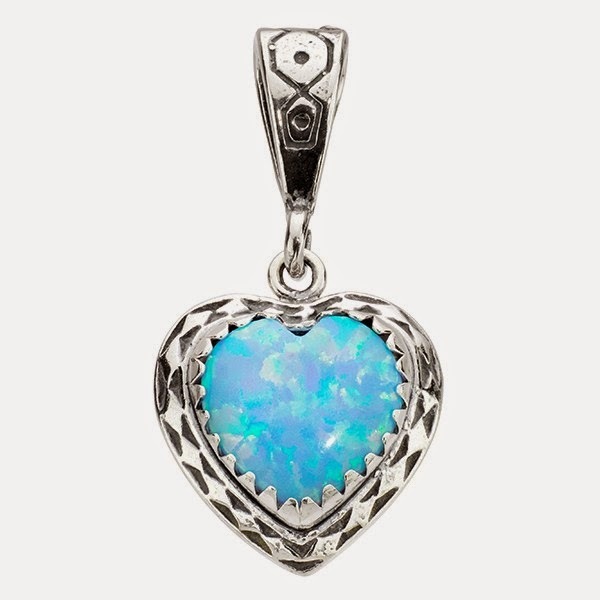 For an eye-catching pendant opt for this blue opal and sterling silver heart pendant priced at £28. The delicate opal looks stunning with the oxidised silver markings, and better yet the pendant will look great with a short neckline chain or a long chain. We have a great selection of chains for you to choose from to match with this pendant. 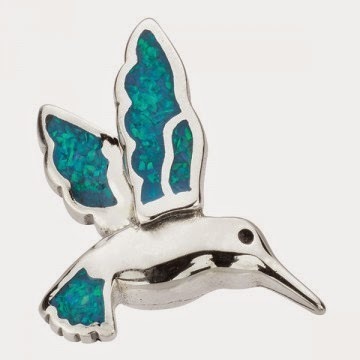 But for something a little more delicate why not go for this adorable sterling silver and opal hummingbird necklace priced at £17.99. The handmade pendant comes with bright fire opal inlaid within the birds wings and again can be matched with one of our chains. 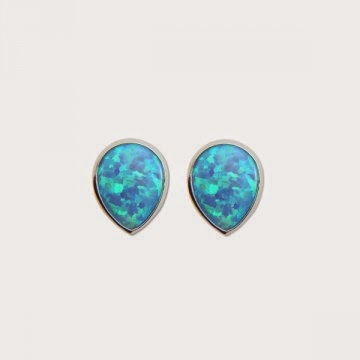 Our opal studs are one of our best selling ranges here at Essential. Whether they're big medium or small; round, teardrop or heart shaped; or white, blue or green, all of our customers love these beautiful studs that add a hint of colourful sparkle to your ears. 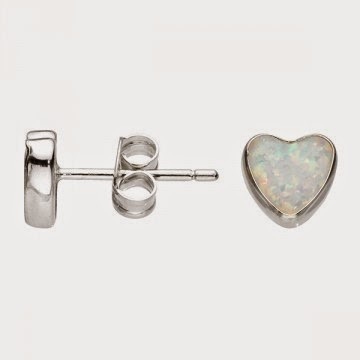 The blue teardrop opal and sterling silver studs above are priced at £12.99, and the tiny heart opal and sterling silver studs are £14.99, but do come into one of stores or have a look online for our full selection. 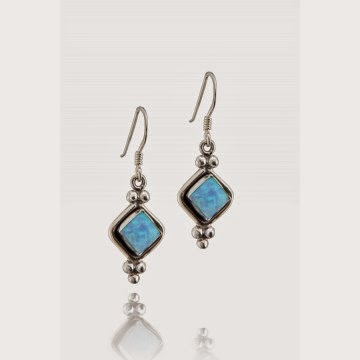 If however you're more of a dangly earring fan then take a look at these beautiful diamond opal and sterling silver earrings priced at £24.99. These handmade earrings will make you look like the queen of sophistication matched with any evening outfit. And better yet, you can pair these earrings with a matching necklace also priced at £24.99. 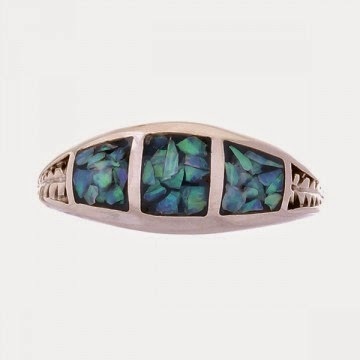 For a truly stand out piece of jewellery we recommend this gorgeous blue opal and sterling silver ring priced at £32. This smooth, sleek and modern design will ensure it's a birthday present your special person will cherish forever. All jewellery is available online or in our stores subject to availability. Happy Birthday to everyone celebrating this month!